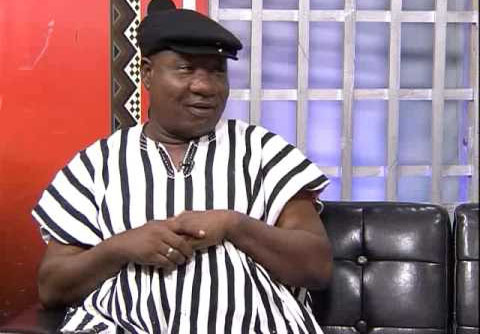 Former opposition National Democratic Congress (NDC) Central Regional Chairman, Allotey Jacobs has ‘fired’ a Facebook user who asked him when he was going to further his education. 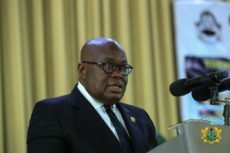 This was after Mr. Allotey Jacobs had posted on Facebook, a congratulatory message congratulating prolific broadcaster and presenter Kwame Sefa Kayi for obtaining an MBA in conflict resolution from the Kofi Annan International Peace Keeping Training Centre recently. 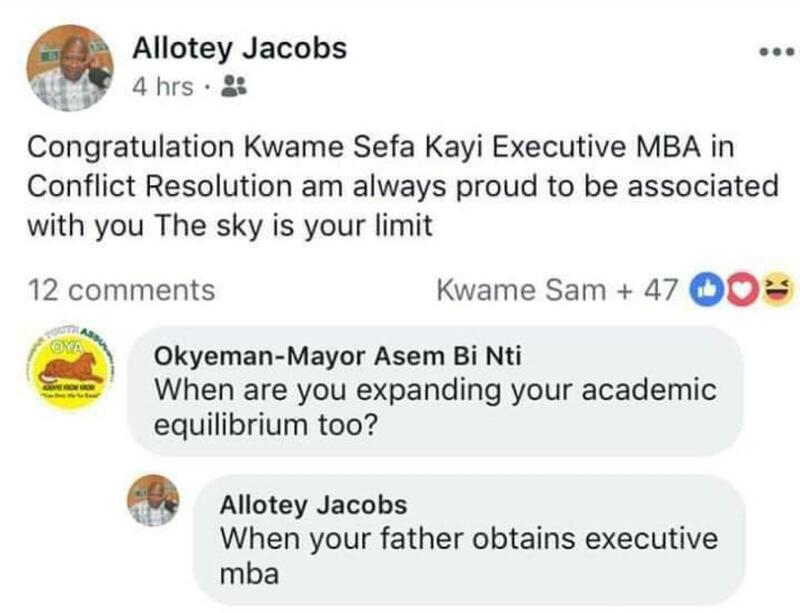 He wrote ‘’Congratulations Kwame Sefa Kayi, Executive MBA in Conflict Resolution. Am always proud to be associated with you. The Sky is your limit. This elicited a response from a Facebook user who also wrote ‘’when are you expanding your academic equilibrium too?’’.